A frequent question with an easy answer; from real life. 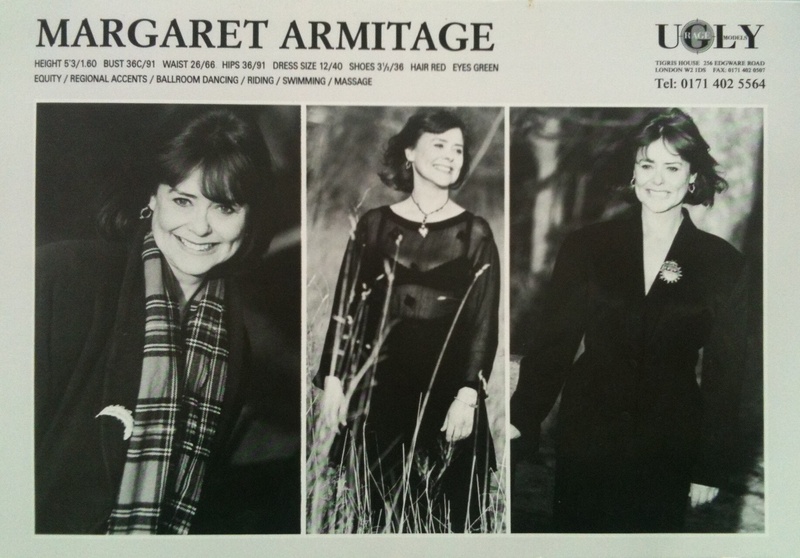 A reader once accused me of making up the character of Maggie Armitage in the Bryant & May books – he didn’t believe anyone could be that barmy. But she is, (if anything, more so) and hardly any part of her character is made up (other than the witch thing). FYI, here’s the real lady herself. Yeah because anyway, I mean, making stuff up – ugh, how awful. Can you imagine – are you allowed to? Things happening that maybe did not? Awful, terrible. Especially people. More so Bryant. He should spend a lot more time asking Dave in accounts about the Kingsway Exchange – Dave won’t know anything, but as long as you have an accountant called Dave all good right? Books should carry stickers warning people. Caution, the contents of this work of narrative fiction may include invented people, events and places. Also, a story. Alan, you just made that up, didn’t you? Yea, because Alan lives on the edge and loves risks. Maybe Peter is actually someone Alan made up. I would just like to say if you haven’t read Christopher Fowler’s short story DOWN from the themed anthology set on and around the underground called The End of the line,which you can buy signed at the momment from foyles book shop.I would urge you to do so most strongley as it is quite frankly brillient! And I know i’m preaching to the converted but Sorry I just had to tell somebody. Cool. Does that mean I don’t have to go to work today? You are a Handsome Man with Distinctive Eyes. Doubtless your smile is Wry. And yet the world has that little piece missing today, for today you discovered that Ingrid Pitt has but recently passed away. This last true and where then would our Hammer films have been without her? I’ve actually known people as barmy as Maggie…and actually, some of them were witches. Don’t find her hard to believe at all, nope nope nope. Let me just say “actually” one more time. I have to completely rewrite Maggie, though, because she doesn’t look like that in my mind at all. Perhaps I think of her with Bryant in my mind. I tend to picture her wearing about 25 lbs. of bangles, rings and bracelets, hair sticking out in all directions, dressed as though (the old)Carnaby Street exploded all over her, wide-eyed and with the air of a distracted but manic librarian from hell about her. Steve, you’ve been channeling my imagination again. That is exactly how I picture her, and she’s a little overweight, too.